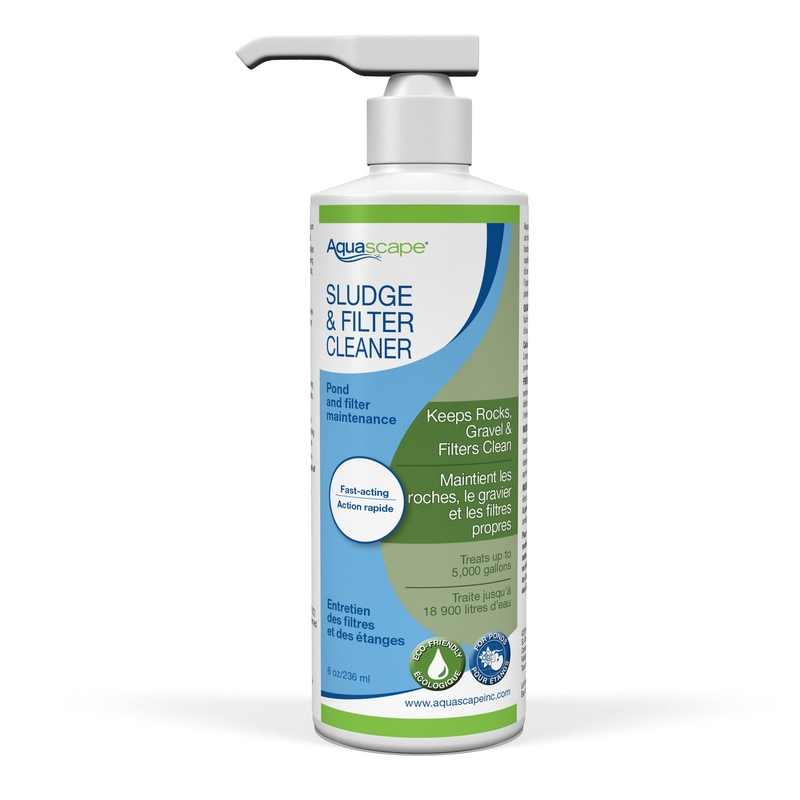 Aquascape Sludge and Filter Cleaner helps to maintain a strong biological balance in your pond while quickly cleaning rocks, gravel, and filter pads. 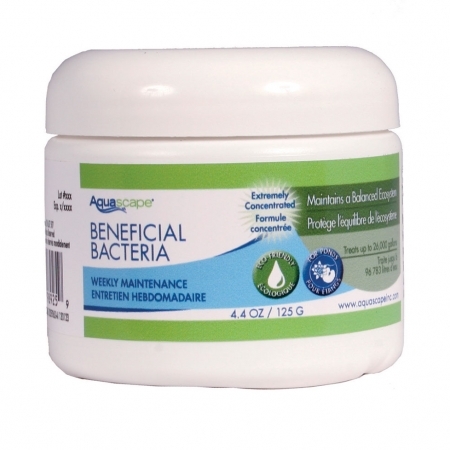 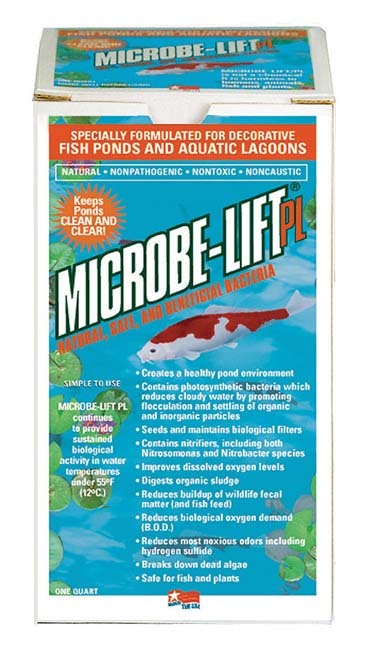 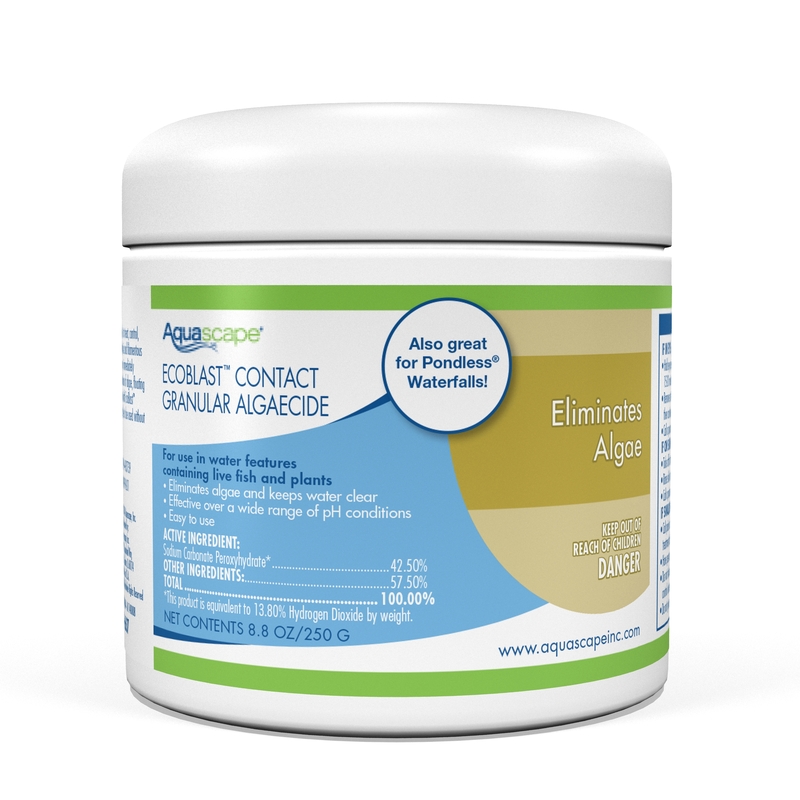 Aquascape Sludge and Filter Cleaner is packed full of five pure strains of heterotrophic bacteria and is completely safe for fish, plants, pets, and wildlife. 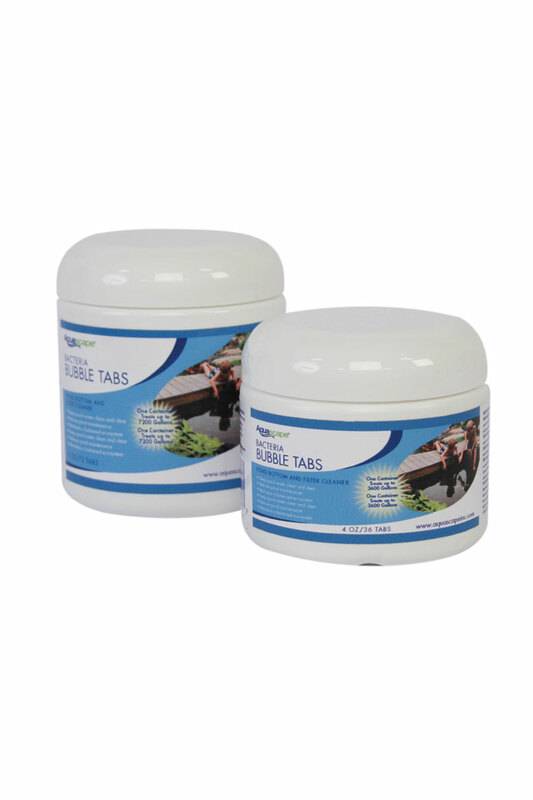 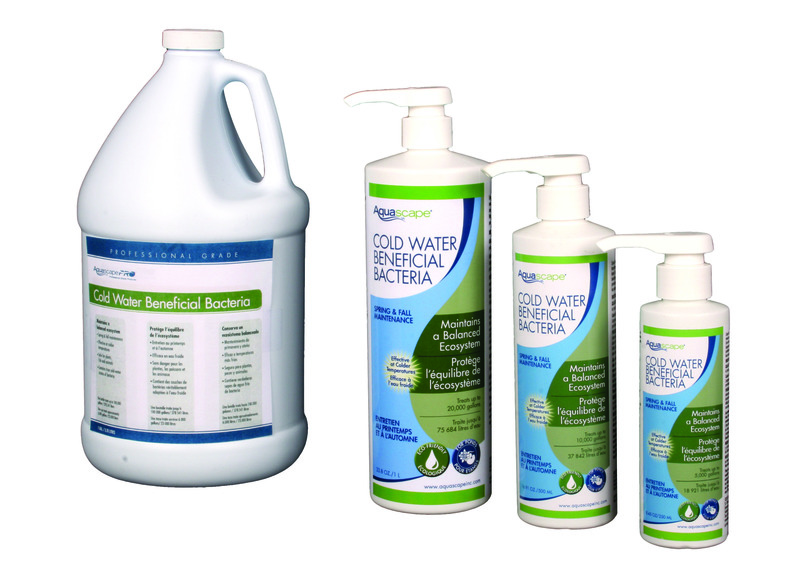 Our Sludge and Filter Cleaner will effectively reduce fish waste and decaying organic plant material in your pond. 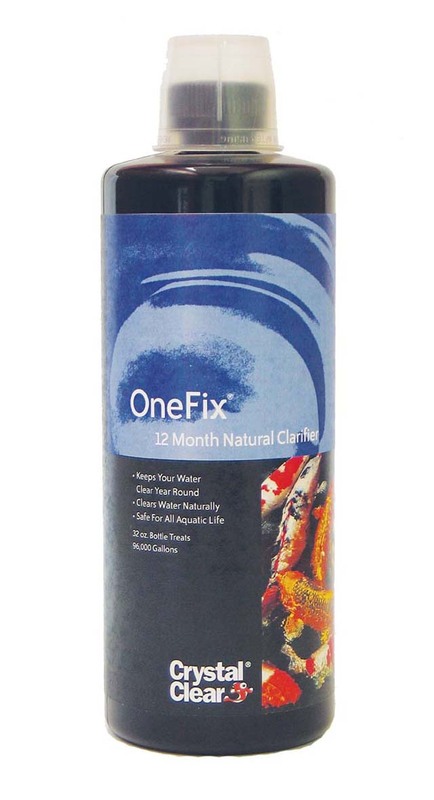 Our Sludge Cleaner contains a 1.5 billion CFU per ounce potency, ensuring consistently effective treatment and the included marigold and humic acid help to improve the pond environment for your fish.